Keen for a trip to New South Wales and its capital, Sydney? Be sure to visit the neighbourhood of Chippendale, situated 2 kilometres southwest of the central business district. Sydney is home to plenty of iconic places to see, like the Sydney Opera House, Bondi Beach and Sydney Harbour Bridge. Find out how local goods and products are made and have a chat with the various stall owners at Paddington Markets. Check the rates at the Pullman Quay Grand Sydney Harbour and Quay West Suites Sydney to be nearby. Feel like you're a part of the motion picture business when you tour Fox Studio Australia. It's a wrap! The Zara Tower - Luxury Suites and Apartments and ADGE Boutique Apartment Hotel are your best bets for this spot. Planning to visit Chippendale on a budget? Book a room at the Mad Monkey Backpackers on Broadway - Adults Only, where you'll find the most value around town. At Wotif, we reckon that from time to time you just have to treat yourself. 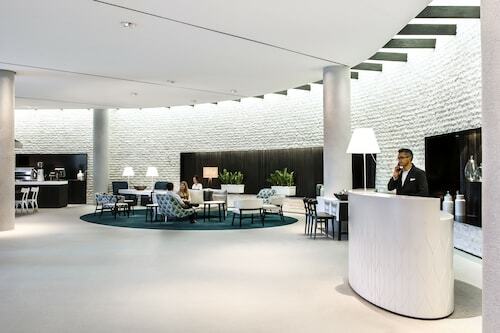 So if you're after places to stay in Chippendale and you can spend a little more, you should take a look at the packages at the Mercure Sydney and UrbanOasis Studios. Not much of a morning person? You'll find a range of enticing cafes in Chippendale. A steaming cup of coffee and pastry at Vulcan Hotel is an ideal way to get your day started. Unfortunately, our bodies can't run on just caffeine. Check out the menu at Vibe Hotel Sydney when your stomach starts to growl. And of course, you haven't truly experienced Chippendale until you've downed a few drinks with the locals at the neighbourhood pub. Here, Wake Up! Sydney is where you want to go. If you and your family can't book the ideal Chippendale hotel package, check out the accommodations in Darlington and Sydney Central. You could spend your whole life planning to travel. Do not allow this to happen. From flights and hotels to car hire and activities, Wotif will turn your dreams into experiences. How Much is a Hotel Room in Chippendale? 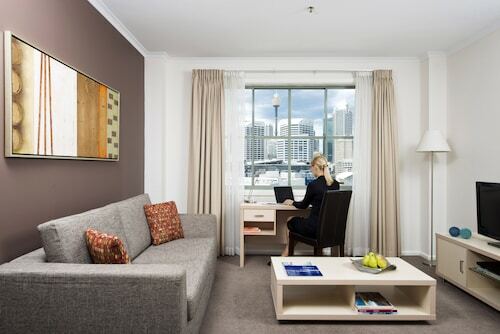 Hotels in Chippendale start at AU$72 per night. Prices and availability subject to change. Additional terms may apply.